In the rapidly changing world of IT only those people win who are developing all the time: if you stop — you will lose. Besides general philosophy of life, it’s also true for CMS. Trying to keep up with the time the developers of CMS Drupal have released a new version of Drupal 8. • From the very beginning probably the most sensational news was the transfer to Symfony 2 components, which greatly simplified the usage for those developers who are already familiar with it, but probably scared off those who are used to functional programming in WordPress. However, it should be noted that every time the page is loaded in Drupal 7, all enabled modules are also uploaded, even if we don’t need some modules on certain pages, which leads to unnecessary uploading and waiting time increasing for the user who is carefully studying the website. Implementing the basic principles of Symphony, Drupal 8 downloads only those modules that you need for a particular page and nothing more. It accelerates page loading for your visitors and probably reduces memory consumption. • The introduction of HTML5 can be attributed to a significant improvement in comparison with XHTML in Drupal 7. Sites that are made by using HTML5 have a better structure and functionality. HTML5 provides better work for a user either on a computer or on a mobile device. • Anyone who has ever run a website knows that it is better to use a computer or a laptop as most features of the admin section would require the resources of the computer and not work on mobile devices. The Drupal 8 Mobile Initiative is a concerted effort to make Drupal 8 a first-class mobile platform. Not only the admin section works on mobile, but the templates for Drupal 8 are also adapted for devices. It’s more comfortable not only for administrators but also for visitors who use gadgets. • One more pleasant news was the improvement of multilingualism. Multi Language Module enables its users to create phrases in many languages and display them on your website. It helps developers and users to implement a multilingual website. 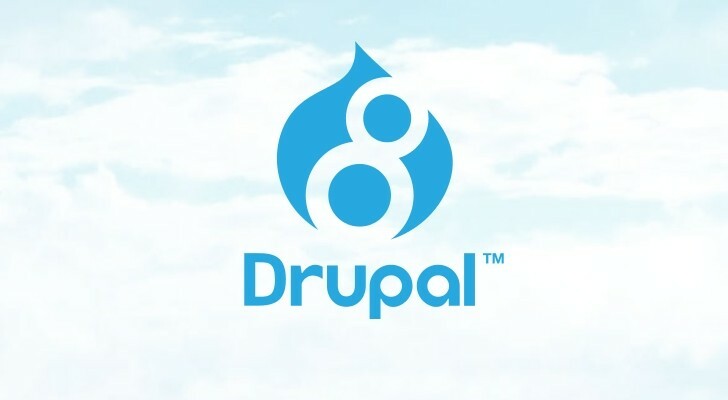 • Drupal 8 contains one of the fastest and most popular template engines. Twig is a popular templating engine for PHP, which opens the door to more robust, scalable and secure themes. It should be noted that Twig is fast, secure and flexible. Fast: Twig compiles templates into optimized PHP code. The performance losses are reduced to the minimum in comparison with an ordinary PHP code. Secure: Twig has a sandbox mode to test untrusted template code. It makes possible to use Twig as a template language for applications where users may modify the template design. Flexible: Twig has a flexible vocabulary and syntax. It enables developers to define their own tags and filters and create their own DSL (domain specific language). • With Drupal 8 you have an opportunity to use the Views without your developer. Views contain a set of parameters that determine which content appears on the page and choose the fields to display, field order, etc., In Drupal 7 Views module was a separate module and depended on the CT Tools Suite module. Development of the Views for Drupal (VDC Initiative) enabled to embed Views in Drupal core 8, so that it appeared immediately after installation. It means that Views has a better integration. Besides, Drupal 8 has made the Views much easier, now a site administrator can delegate the work with the Views to technical specialists, as it does not require complex skills. These are just some of the changes that came with Drupal 8. It’s a fantastic platform for developing a wide range of sites, from simple to extremely complex. Remember to feed back by sharing your discoveries and creations in using Drupal 8!